One of the best remaining examples of a feudal castle, part of the UNESCO World Heritage Site, this castle was founded in 1603 by Tokugawa Ieyasu, the first shogun of the Edo period. From 1868 to 1939 it was used as the Imperial Palace, then it was finally donated to the city and opened to the public. The whole complex is surrounded by a first moat filled with water, for which there are three entrances (north, east, and west gate), but only the east entrance gate is currently open and that is where you have to go to visit the castle (you can also rent audio guides in English for 500 yen). A complex survived until today, it consists of five buildings which can also be visited inside. Some of these interiors are very special and interesting: for example, some corridors with "nightingale floors", floors which make sounds exactly like the chirping of a bird every time they are trampled (they were therefore a good security system), or some "wardrobes" inside certain rooms, inside which there were guards ready to get out in case of danger for the shogun. 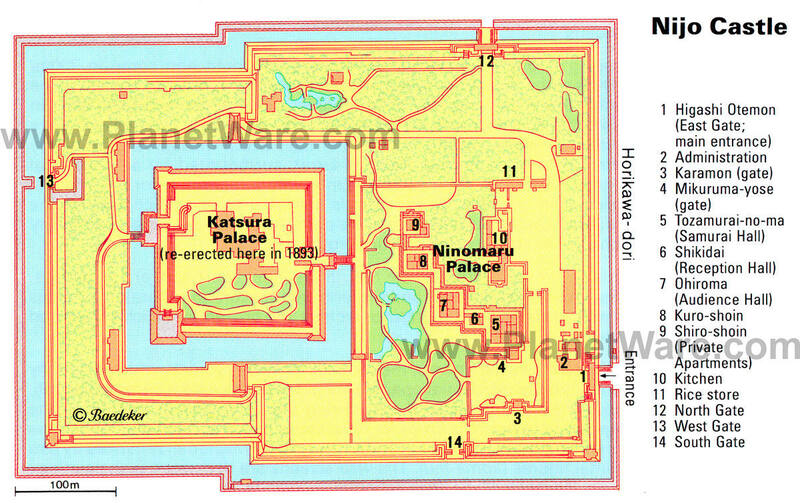 This second complex of buildings is located west of the Ninomaru Palace, and is surrounded by a second moat, that can be crossed through two entrances (one to the east and one to the west). 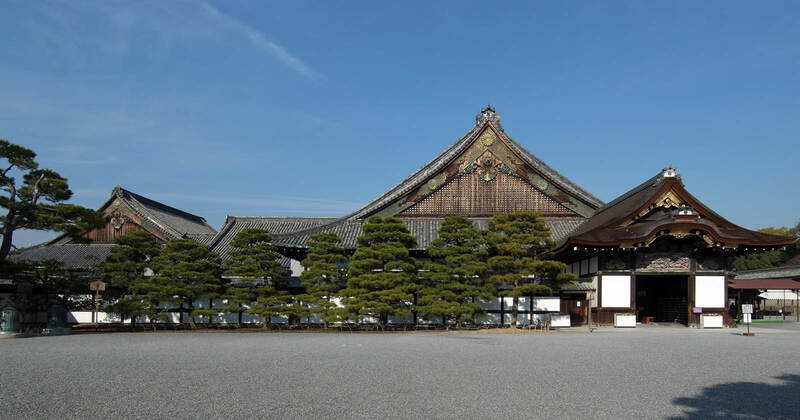 The ancient buildings of the castle were destroyed by fire in the 18th century, what we can see today are some buildings belonging to an imperial residence (Katsura Palace ) that in 1893 (during the period when the castle was used as a Imperial Palace) were moved into the Nijo Castle. Usually the inside of these buildings can not be visited, one can only wander around the garden. A beautiful traditional Japanese style garden, which includes a large beautiful pond surrounded by pine trees, it is located between the homonymous palace and the inner moat of water. 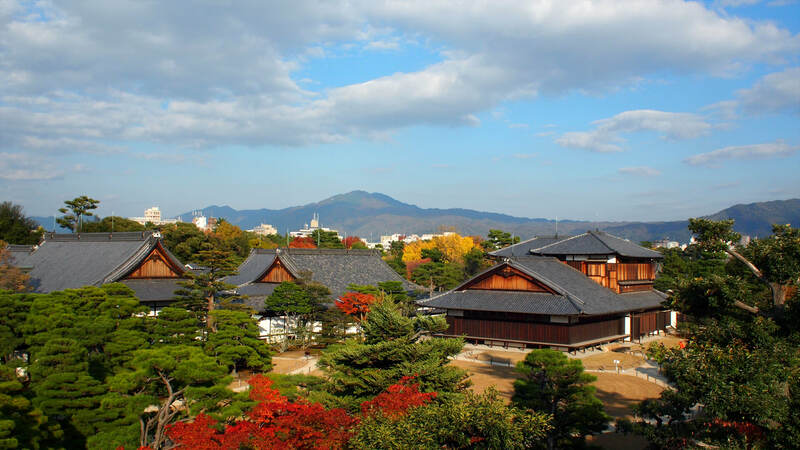 It was designed by Enshu Kohori, one of the greatest artists of the court of the shogun Tokugawa Ieyasu. 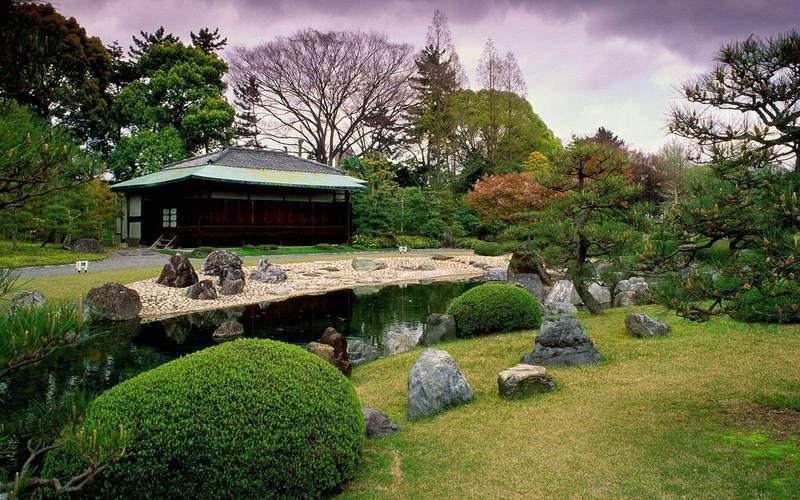 A well kept garden, partly in the traditional Japanese style, partly in western style, with a wide green lawn. It is located in the northern part of the inner moat and was built in 1965 to host special events (eg tea ceremonies), using the stones of the ruins of the Honmaru Palace to create part of the natural scenery. Just in front of the main entrance to the castle and a few meters from the metro station, there is a good hotel with affordable prices, the Kyoto Kokusai Hotel. 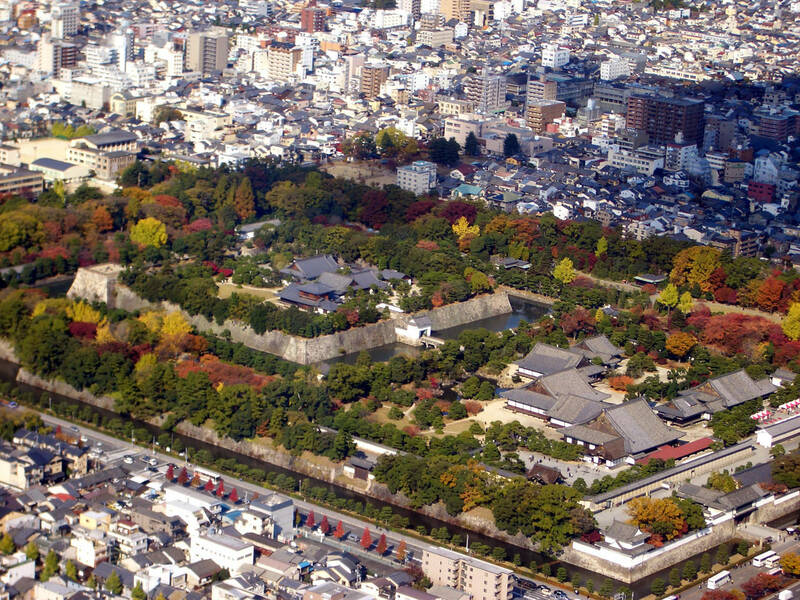 The Nijo Castle is located about 4 km north of Kyoto Station. The nearest station to the entrance to the castle, about 200 meters far, is Nijojomae station, served by the Tozai line of the Kyoto Municipal Subway. If you come from Kyoto station, take the Kurasuma line to Karasumaoike Station, and there change to the Tozan line (about 15 minutes in total, 250 YEN). Alternatively, the bus stop in front of the entrance to the castle is served by lines number 9, 50, 101 (these lines serve also Kyoto station) and by line number 12.